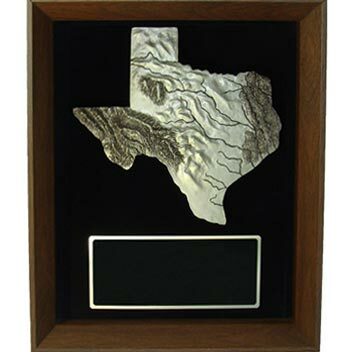 Beautiful 3-dimensional Texas State in luxuriously Flocked Shadow Frame with personalized plate. Arrives packaged in sturdy presentation box. All Award Components may be purchased separately.